125 People. 34 Completed Games. 1 Valiant Attempt. First year we tried a theme! Not only were a ton of games produced, but the percentage of good games actually increased. Pages that describe all 34 games are listed on the left, or you can use the new Game Finder. All 34 games are totally free with no strings attached (no spyware, adware, registration or crap). If the game supports it (Flash or Unity based), you can play it immediately online! The creativity, technical savvy, humour, and sheer variety on display will bring a smile to your sad, wrinkled face. 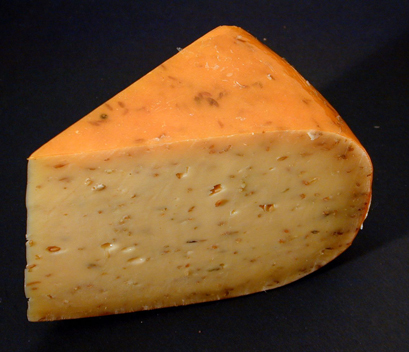 Games were required to relate to the cheese theme, display the Goat-on-a-Pole image, and play the TTC subway sound. 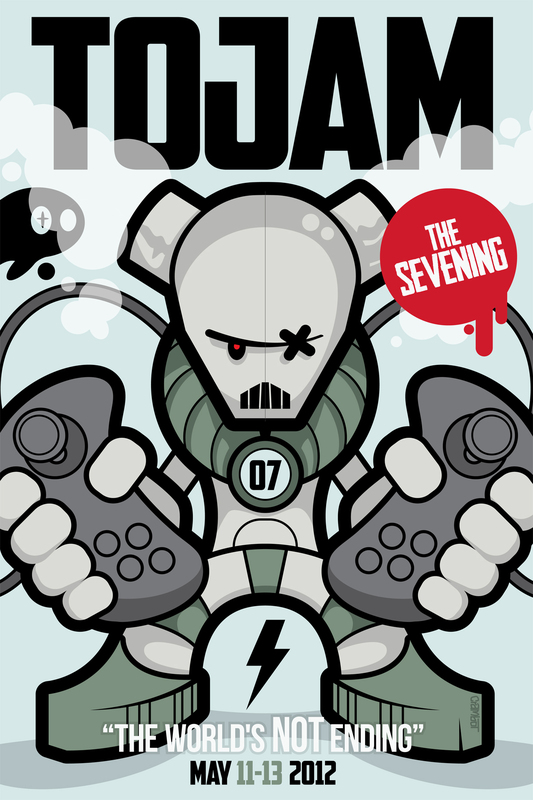 Most games made inventive use of these requirements, keep an eye open for how they were fulfilled. Almost everyone took advantage of the Friday 10am early bird start. 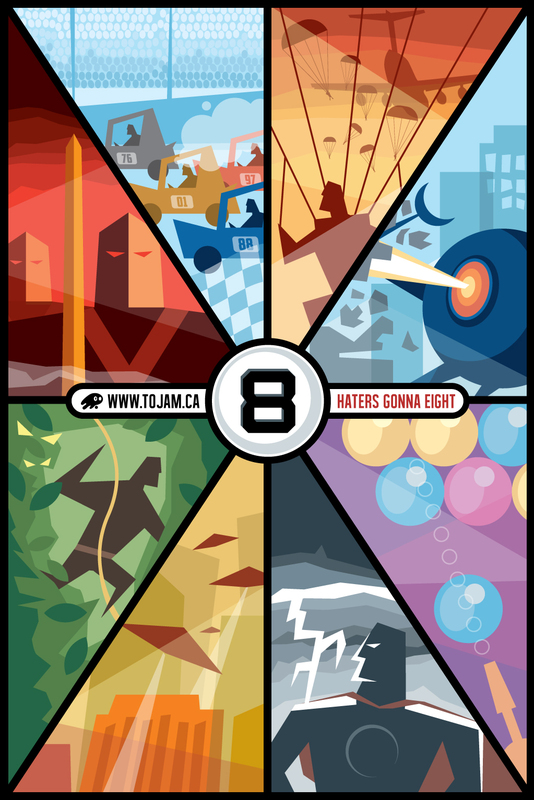 Since the deadline was Sunday @ 8:00pm, Jammers had 3 FULL days (and 2 sleepless nights) to produce a masterpiece. 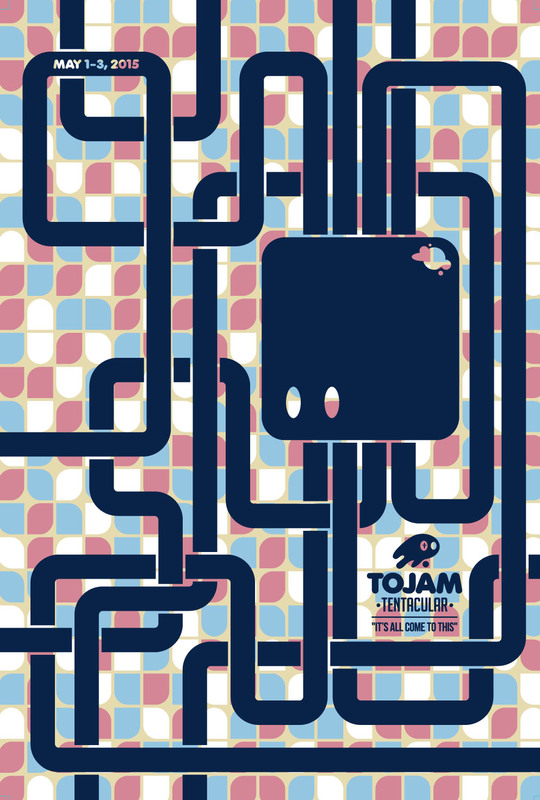 Repeat Jammers (almost everyone came back from TOJam #2) are getting better at handling the deadline constraint. 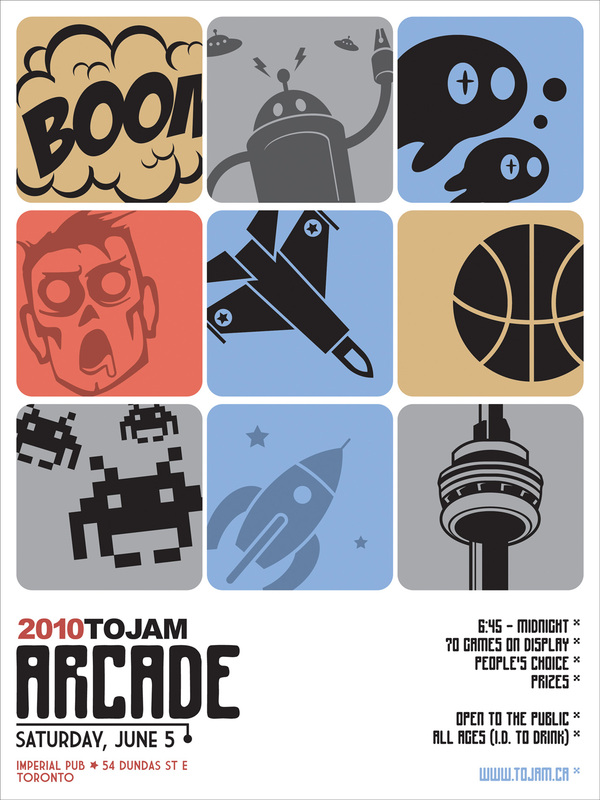 Additionally, almost everyone improved their game after the jam for the public TOJam Arcade. These factors help explain why this year's output is so phenomenal. 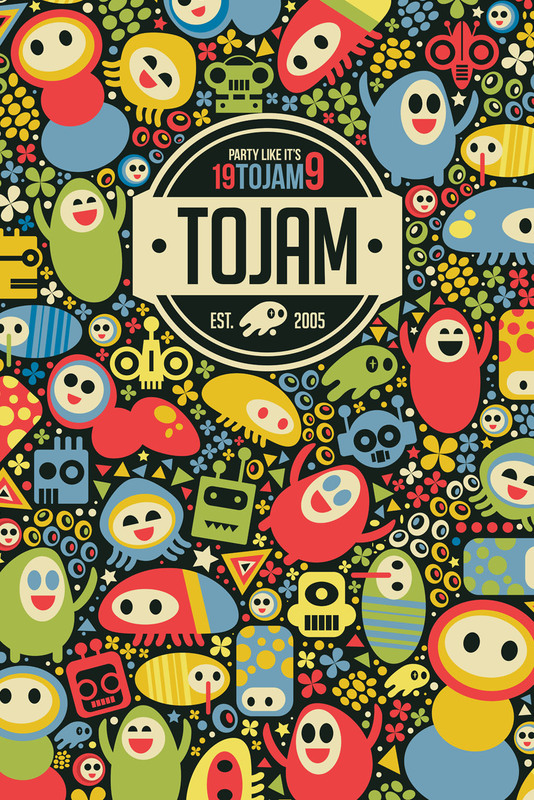 For the most part, the best TOJam #3 games took way more than 3 days to create... and that's fine by us. 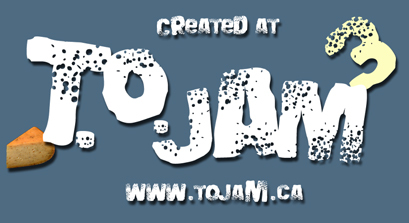 TOJam is interested in producing great games, not games that are great because they were made in 3 days. The insane deadline is only meant as motivation. You will always download/play the most recent version of the game. If there is an earlier version, it can be found in the History section, and will be labelled 1.0. For Flash games, it's really quick and interesting to compare the two. Creating these game pages took an unbelievable amount of work. Huge thanks to Shawn McGrath, Polly Lee, Robert Segal, and Emilie McGinley for spending many hours helping me. Updating the site is my job, and they cut my work in half. I'd also like to thank the Jammers that held off posting their games until these pages were ready. Your understanding and support is much appreciated, now spread the word! 125 Game Makers. 1 Administrator. 3 Volunteers. 29 Teams. 11 Standalone Developers. 7 Floaters: 4 Graphic and 3 Sound. 4 Teams and 1 Standalone Developer failed to produce a game. 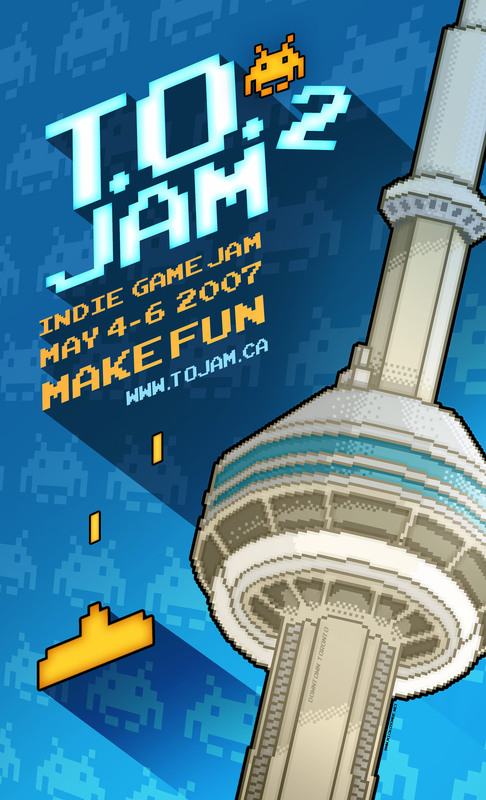 The World's Biggest Game Jam produced 19 Games. Kokoromi inspired theme use... so far Phil hates our choices. Jammers were asked to kindly include this image.